Our Vaucluse Round Rainfall Showerhead System comes in a sophisticated chrome finish. The system includes six adjustable massage jets and a handheld shower. Our three valve thermostatic mixer leaves you in control of temperature and water pressure to give you all over coverage and relaxation. The threading is universal so it will fit any standard shower head by simply unscrewing the old one by hand and attaching the new one. A shower arm is included. 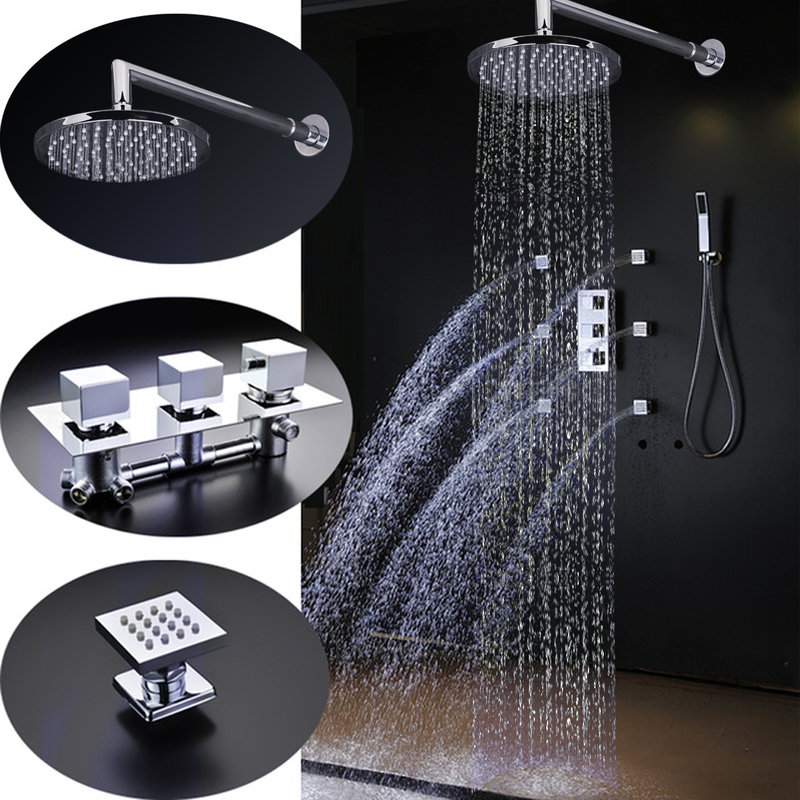 High Quality This modern shower head is made out of stainless steel, so its made to last ! The Vaucluse Round Massage Shower Set embodies everything i wanted in a shower set. I totally love it. Moreso, that the shower set was delivered right on time. Everything about this purchase is satisfactory and excellent. We were kind of in a rush when we got this one because the renovation was nearly complete. We did have an old shower head, but we decided that perhaps we should just replace it with a new one since it was quite old already. So there we ordered this and we were quite disappointed with how long it took to be delivered. Good thing it still came just about time and we didn't have to extend the work. I liked this shower set when I first saw it. I thought the product features and functions included in this set is pretty cool and something that I really would like to have. When it came and I had it installed, I was pretty happy with it. It's not as perfect as I first thought it would be since I did have some issues with one of the jets, but still, I think it's a good product. I just think it's rather expensive. I don't know how long I've been looking at this site, but I was pretty happy to have seen this because that I meant I no longer had to look. I was pretty satisfied when I saw this and read the product details. It was everything I wanted. The price seemed reasonable as well, especially at the sale price. I have had this for about a week now and so far I am very pleased with it.